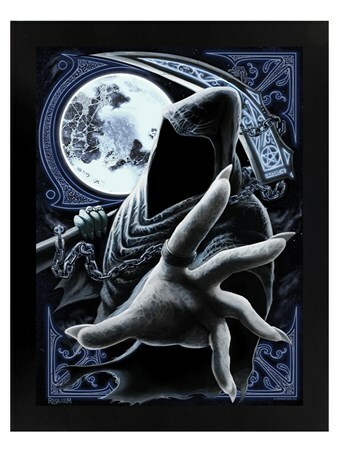 Destined for an eternity working for the Devil, the enslaved reaper seeks his next victim! 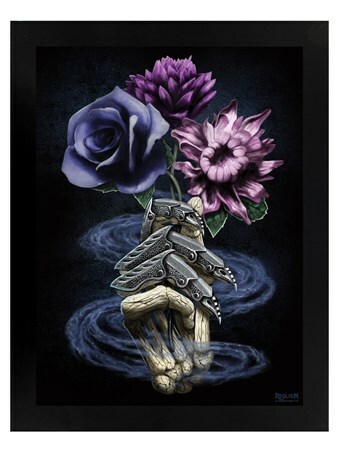 Reaching out with his spindly fingers, be sure not to let his grasp pull you down to the underworld, as there's no escaping! 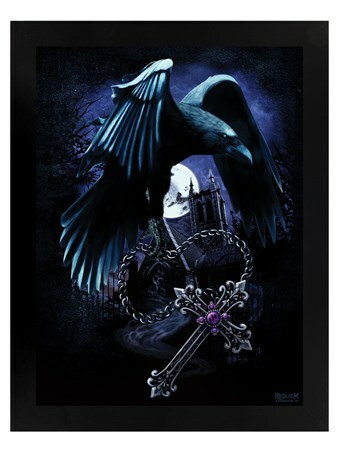 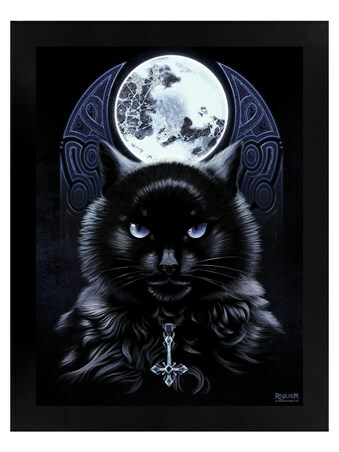 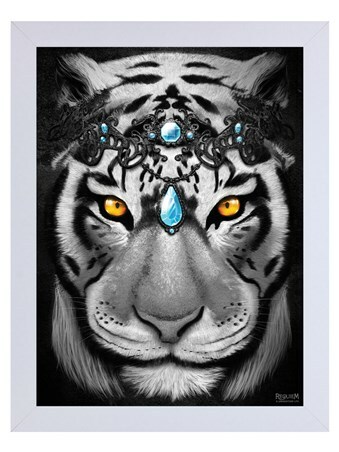 This moonlit wooden framed mini poster by Requiem Collective is perfect for any gothic fantasy art lover, looking to bring a dark and eerie atmosphere to their home! 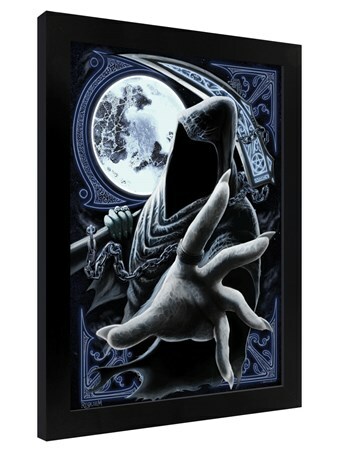 High quality, framed Enslaved Reaper, Requiem Collective framed mini poster with a bespoke frame by our custom framing service.